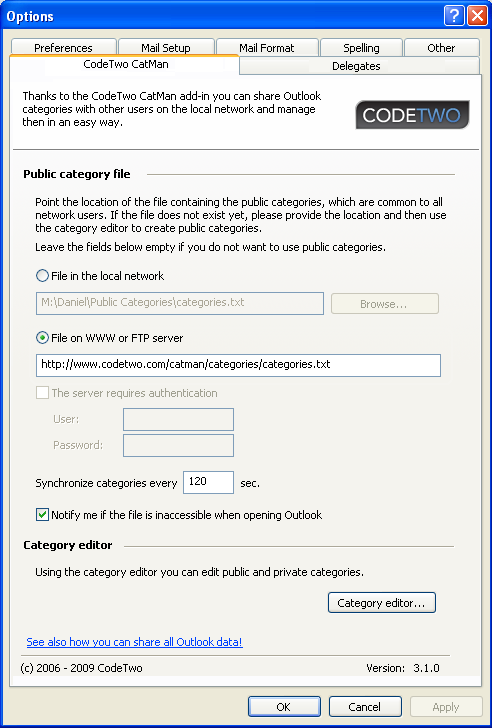 Today we are releasing an update to a freeware application used to share Outlook categories between multiple users in the network CodeTwo CatMan v.3.1. 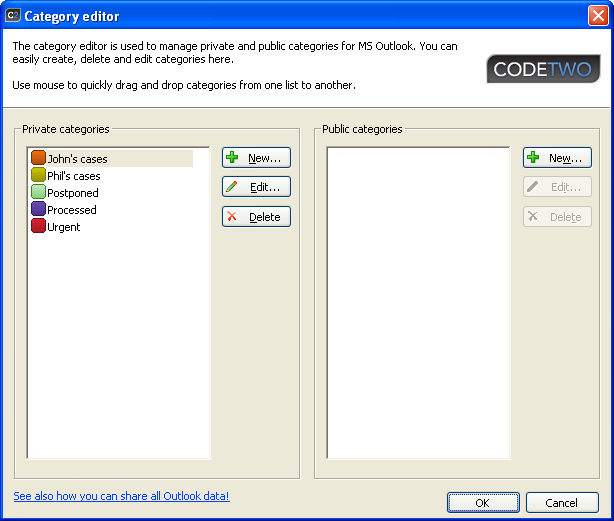 Recently, the program was optimized for users of Outlook 2007 who installed the security update MS09-060 issued by Microsoft in October and for this reason experienced a problem sharing public categories. With this update, CodeTwo CatMan becomes capable of sharing categories not only in the local network but also over the Internet. This is done by placing the single public category file, used by the program to update categories on client machines, on an FTP or WWW server. Now, you will also have a quicker start with the program as you will be able to easily copy your existing private categories to the public pool of categories using drag and dropping functionality. 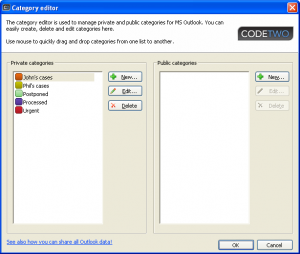 CodeTwo CatMan is compatible with Microsoft’s latest version of operating system Windows 7. Awesome release! We have reviewed and awarded CodeTwo CatMan v3.1.